taking the breakfast sandwich to a whole new level…and the best part? brian created this deliciousness! since i wasn’t feeling particularly motivated to be in the kitchen yesterday, brian said he would take charge in providing me with breakfast. i need to do this more often. 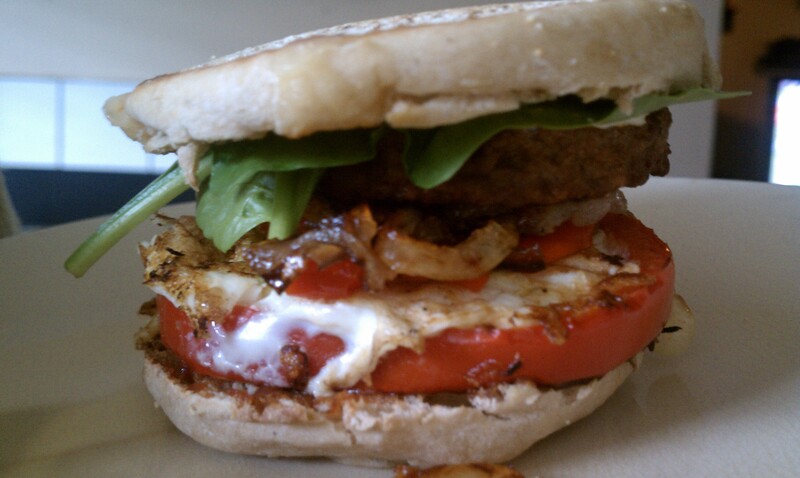 throw on toasted english muffin with spinach, caramelized onions, and sausage patty. devour and add lots of happiness to anna’s life. WOW! That sounds and looks amazing! Can I order one to go….to Iowa?